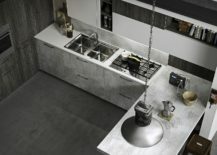 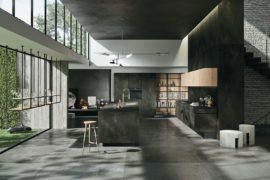 You can always rely on to come up witch kitchens that combine modern ease, smart ergonomics and a unique aesthetic element that sets them apart from the mundane. 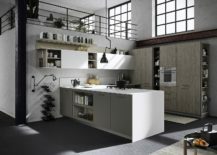 With FUN, it is no different as this contemporary kitchen with a pinch of industrial panache bowls you over with its unassuming class and textural contrast. At no point does the kitchen feel far too urbane and stoic. 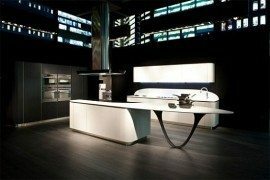 It is not about polished finishes and sparkling counters alone. 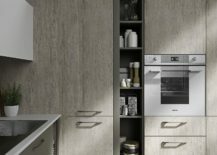 There is a healthy dose of wooden finishes throughout FUN and you can use this element to link the kitchen visually with open plan living. 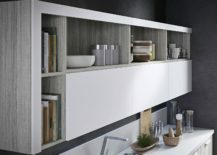 Shelving, island and cabinets in the FUN kitchen give you an opportunity to repeat the coy wooden finishes throughout your open living area, painting a picture of curated elegance. 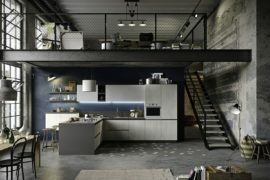 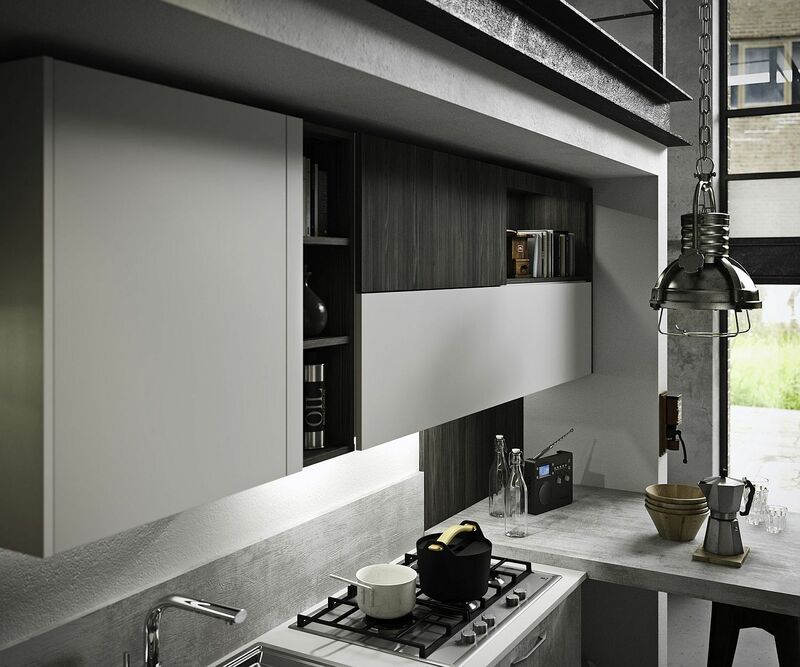 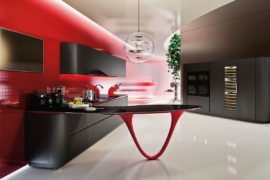 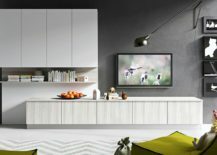 Bespoke design solutions, custom finishes and a range of modular spatial solutions combine to make each of these kitchens special in its own unique way. 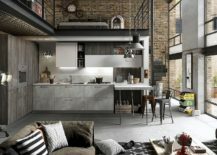 Depending on the floor plan of your house and the overall look and feel you are shooting for, small alterations and color changes can be made in your chosen composition. 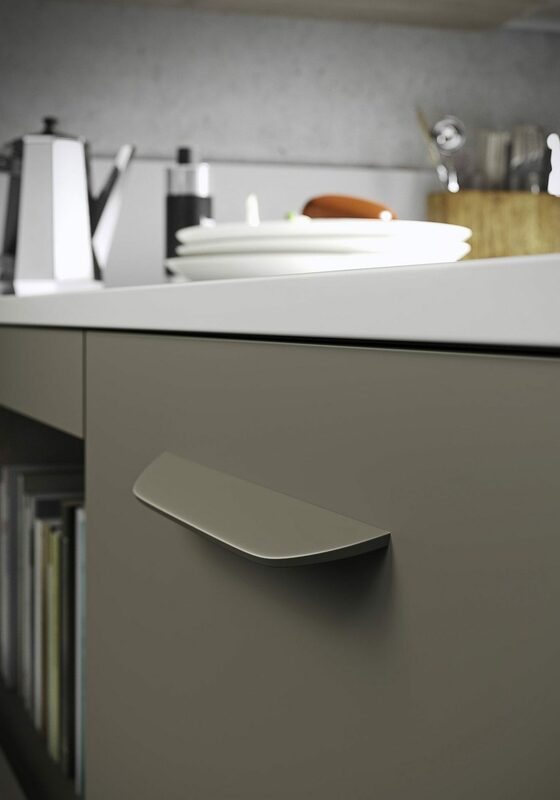 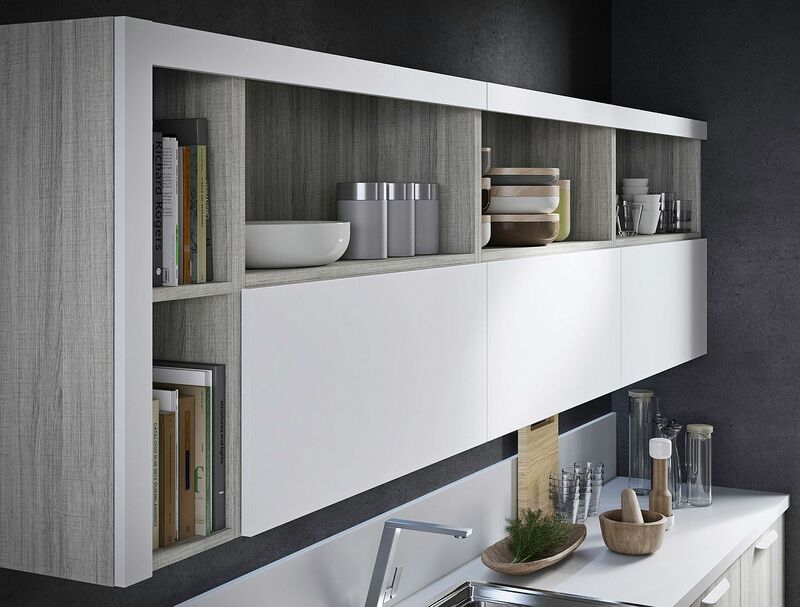 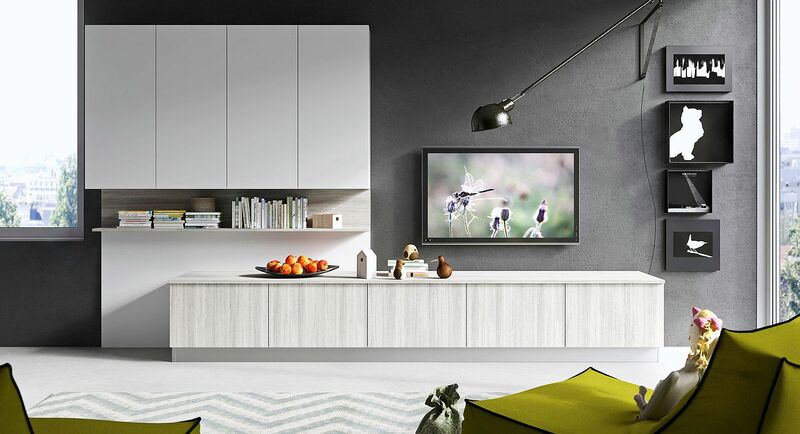 Another striking feature of these kitchens is the design of the handles of the cabinet doors. 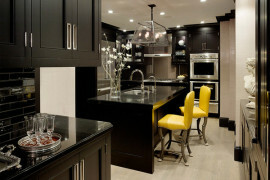 They give the kitchen its trademark look without going overboard. 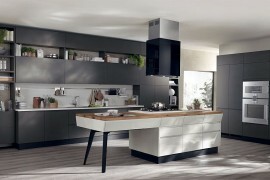 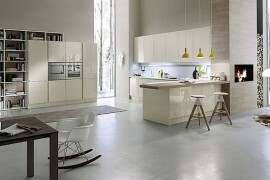 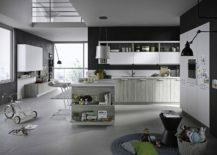 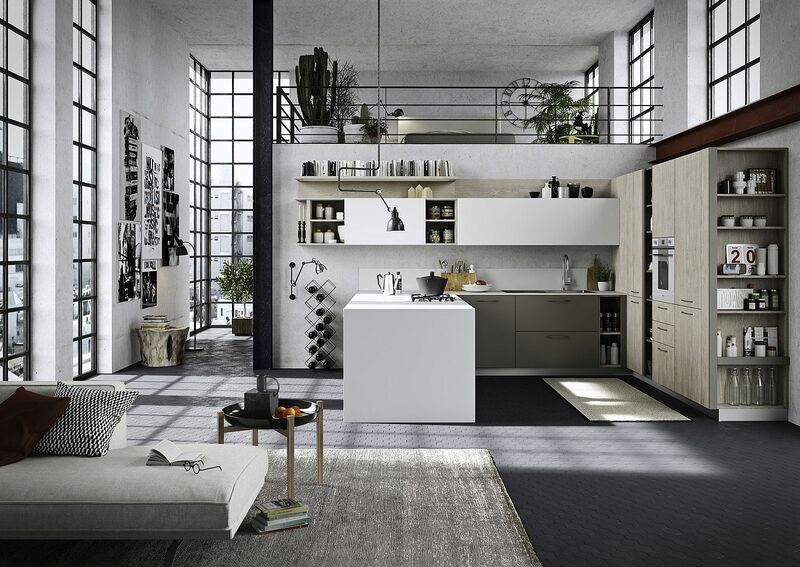 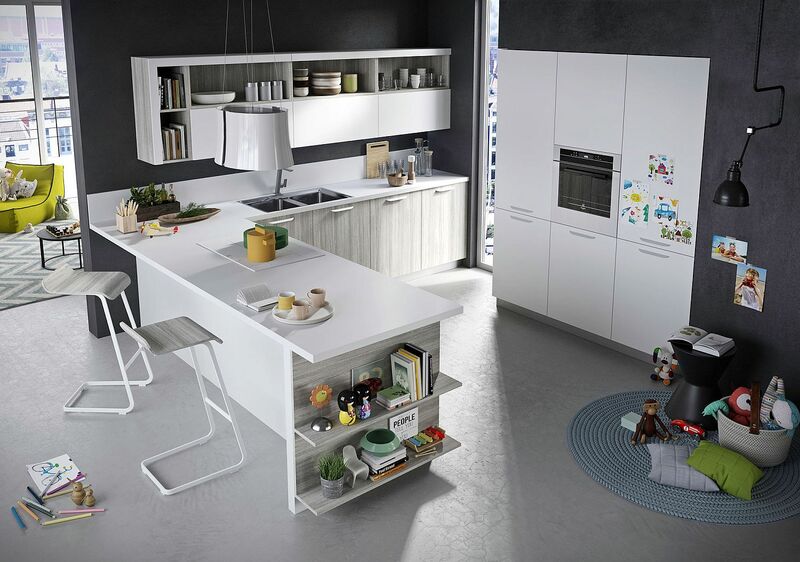 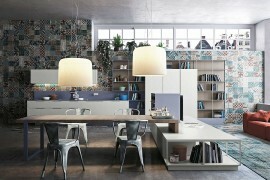 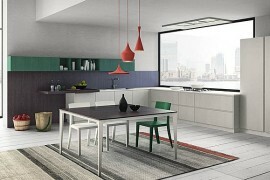 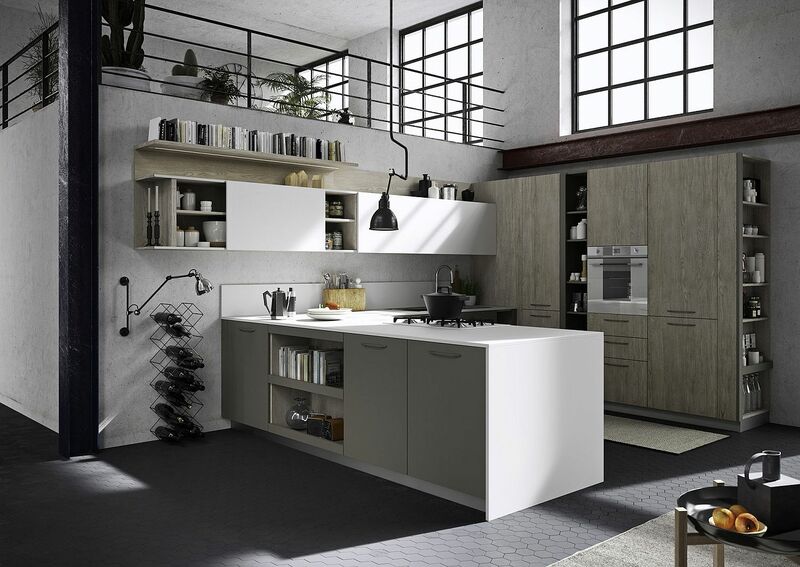 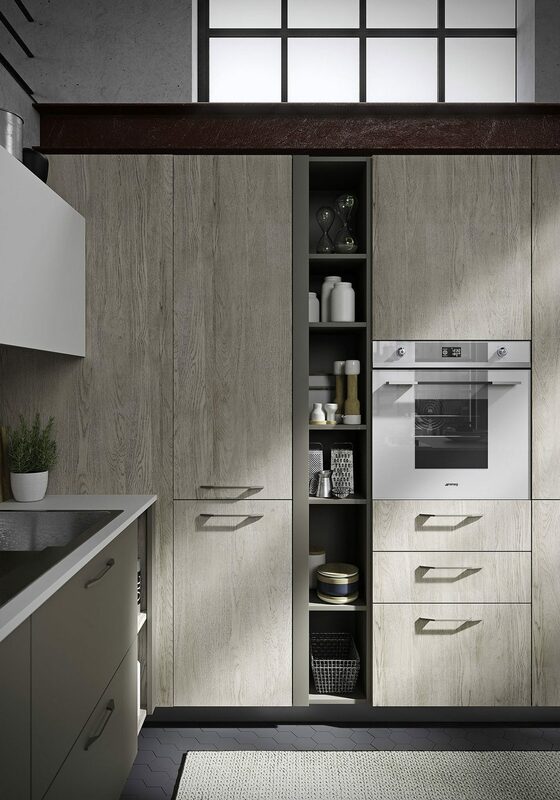 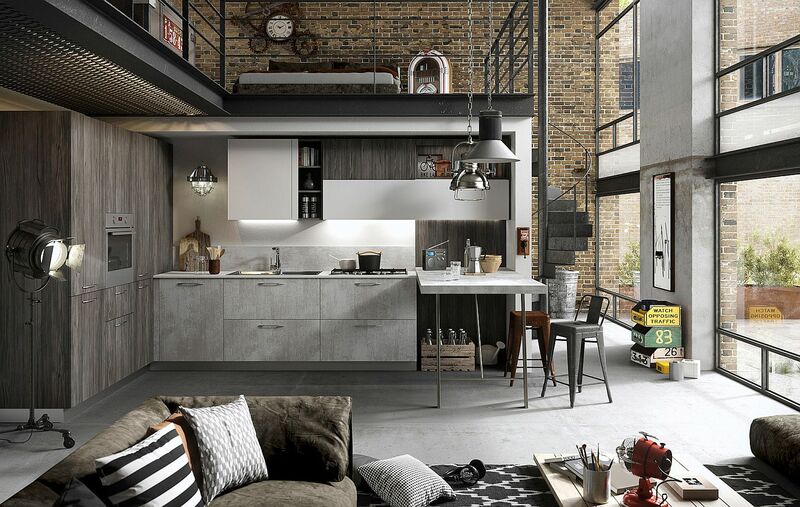 Minimal and yet inviting, FUN is a kitchen that promises to make your life a whole lot easier.